We are delighted to announce that Nick Hepburn has joined our Paraplanning Team as a Junior Paraplanner. Nick has a degree in Sport & Exercise Science and previously worked as a fitness instructor at Moor Hall Hotel’s Leisure Club. He found out about our position in Paraplanning through a family member of one of our team, which is great that they consider we offer a great working environment and prospects and are pleased to recommend us as an employer. Nick is learning about all aspects of financial services which will help him in his role of supporting our team of Financial Advisers local to Sutton Coldfield and the wider area. He will be joining our in-house training academy and in his spare time Nick enjoys all kinds of films especially comedies and the Marvel Superhero movies. He is also looking forward to returning to playing rugby. We are very glad to have you as part of our team Nick! Financial services are complicated and so the help of a trusted local Adviser to take you through financial planning in Tamworth either at your home or place of work is invaluable. Many people don’t fully understand what proper financial planning is and at Four Oaks Financial Services we have taken planning to a new level. We call it lifestyle financial planning . We believe that money needs to be accumulated to be used, not just saved without any firm goals in mind. We often see people who have accrued more money than they will spend, and this also leads to problems with inheritance tax when they pass away. The purpose of financial planning for our clients in Tamworth is to help them achieve what they want in life, for themselves and for their families. This can be everyday things such as the annual family holiday or perhaps paying off the mortgage early. But these things don’t just happen, they need to be planned for and in the wider context of lifestyle financial planning in Tamworth we look at everything you need to spend your money on from today to your retirement and beyond. Many people do their own planning. They have ISAs, and they use their annual allowances. They have pensions. They have a house. This all sounds great, but if you are not an expert Financial Adviser you may not know that if you die ISAs can be passed on tax free, but only to your spouse. The value of your house could put your estate over the Inheritance Tax threshold thus leaving your children to pay 40% tax on anything over £325,000. Pensions may not have been reviewed for many years and may be in higher risk funds, when the client, especially when nearing retirement would prefer a more cautious approach. Our Financial Advisers are available to carry out financial planning in Tamworth, or at our offices, whatever is most convenient for you. 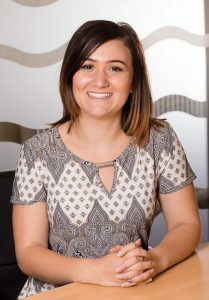 We have welcomed Jessica Allan into our Client Support Team. 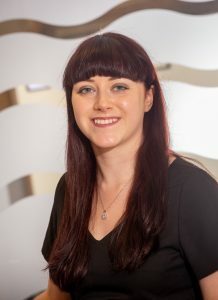 Jessica joined us on the 25th April having previously held roles in administration and pensions’ administration. 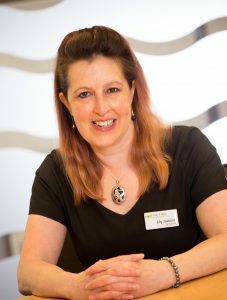 During an apprenticeship at an adviser practice she attained her Level 3 Diploma in Financial Services. She has also been able to demonstrate her attention to detail and ability to work on complex transactions in her previous roles making her an ideal addition to our Client Support Team. Jessica’s duties are to work closely with our Financial Advisers who provide financial advice in Lichfield and the wider Midlands area. This will include supporting them with letters of authority, application processing and liaising with our many financial product providers. In her spare time Jessica spends a lot of time at the gym and visiting her family. She is writing her first book of fiction and her dream holiday destination is the beautiful Greek island of Santorini. A huge well done from the whole team to Lily Jackson, Paraplanner and Emily Walker, Client Support, on passing their Personal Taxation examination. The syllabus for this exam is all aspects of taxation, and is very detailed and in-depth covering income tax, capital gains tax, inheritance tax, national insurance contributions and the taxation of investments. This final aspect of the course is very demanding as taxation rules differ for different kinds of investments. Both agreed this level of knowledge will help them in their support roles helping our Financial Advisers who give financial advice in Tamworth and the wider Midlands area. We are delighted that Emily and Lily have passed their exams and they will be tackling Regulations & Ethics next as they work towards their Diploma in Professional Financial Advice. It is with great pleasure that we recognise Mark Banks’ 5th anniversary of working at Four Oaks Financial Services. Mark is a delight to work with and a very valuable member of our Paraplanning team. Mark joined us in a junior administrative role five years ago which involved a lot of scanning of documents! Mark had the opportunity to move to our Paraplanning team, an opportunity that he seized. He began in his own words as “as a very junior Paraplanner” preparing quotes for income protection and critical illness protection. 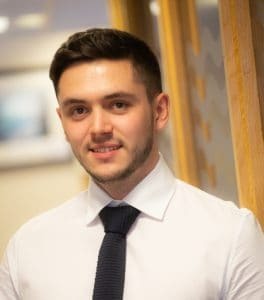 Owing to his hard work and dedication he was promoted to full Paraplanner status and is just one exam off obtaining his full Diploma in Financial Advice. This will mean he will be qualified to be a Financial Adviser if he so wishes. However, at the moment Mark is enjoying being a Paraplanner. 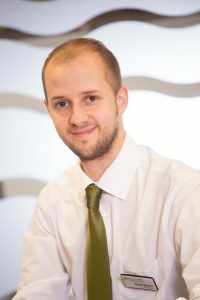 Because of the training he has received whilst at Four Oaks Financial Services Mark is able to carry out the full range of Paraplanner duties such as research, suitability reports and liaising with our team of Financial Advisers who provide local financial advice in the Sutton Coldfield and wider area. On a daily basis Mark is working on Protection, Investments and Pensions for our clients. When asked what he would like as a gift in recognition of his 5 years’ service, Mark opted for a contribution towards “baby stuff” as he will be a new dad in September. Congratulations on five years’ service Mark and thank you for the contribution you make at Four Oaks Financial Services. The next time you visit our offices or telephone us you will be greeted by our new receptionist, Olivia Arnold. Olivia joined us on 12th May and previously held customer service roles at the well-known fashion brand Fat Face working in their Grand Central Store in Birmingham, and before that at the food retailer, Waitrose. The role of receptionist is a very important one, because this person is the first point of contact either in person or via the telephone for our clients. 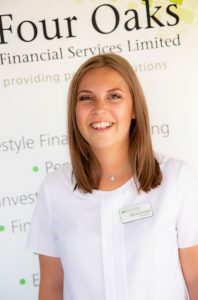 Olivia’s duties include greeting clients, directing phone calls to the right person or department, supporting our Financial Advisers who provide local financial advice in Sutton Coldfield and surrounding areas. She will also be administering our Treating Customers Fairly feedback process, document scanning, ensuring that all public areas and meeting rooms are immaculate and ready for use and providing assistance to our Practice Manager, Lynsey Mason. “I’ve been made to feel really welcome by the rest of the team. Everyone is so supportive, and I am enjoying working in such a professional environment.” Says Olivia. In her spare time Olivia enjoys seeing friends, is a fan of superhero movies and the books and films of Harry Potter. It’s magical to have you in our team, welcome to Four Oaks Financial Services, Olivia. We held our second annual golf day at the end of June at Aston Wood Golf Club and it was more than double the size of the inaugural event. We had 65 golfers from local, national and international businesses, existing clients and their guests. They all teed off with a shotgun start at 12 noon. Our Financial Advisers, who give expert local financial advice in Tamworth and wider area, kept the golfers amply supplied with water, beer, snacks and sun cream as they battled in the heat. The winners of the team competition were led by joint captains Phil Dumbleton and Carl Bannister of Phil Dumbleton Carpentry & Joining and Accounted Four (Midlands) Limited. The individual winner was John Roberts and Aarran Beck won the Longest Drive. 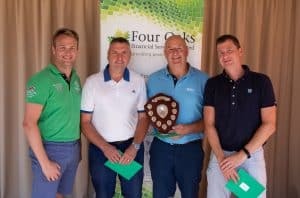 The winners will hold the Four Oaks Financial Services golf trophy for 12 months, each player received a £30 voucher to spend at Aston Wood Golf Club and a lesson with the General Manager.